Marking the 50th anniversary of the series, the United States Mint has released rolls and bags of circulating-quality 2014 P&D Kennedy half-dollars. 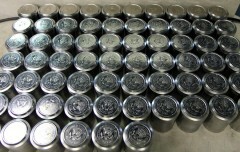 Two-roll sets, sold for $32.95, include one roll with 20 coins from the U.S. Mint facility in Philadelphia and one roll of 20 coins from the U.S. Mint facility in Denver. Buyers have the choice of production facility with a 200-coin bag option offered for $139.95. These prices are the same as last year’s rolls and bags. While both products include circulating-quality Kennedy half-dollars, none of the coins have actually been issued into circulation. In fact, the United States Mint stopped striking halves for circulation back in 2002. 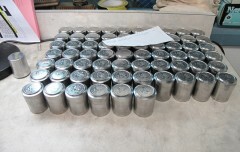 It makes and offers the rolls and bags only for coin collectors. Mintages have drastically declined ever since. *Production spiked in 2013 because there was a large order for the coins, though it was later canceled. Million of them are now in vaults, presumably. 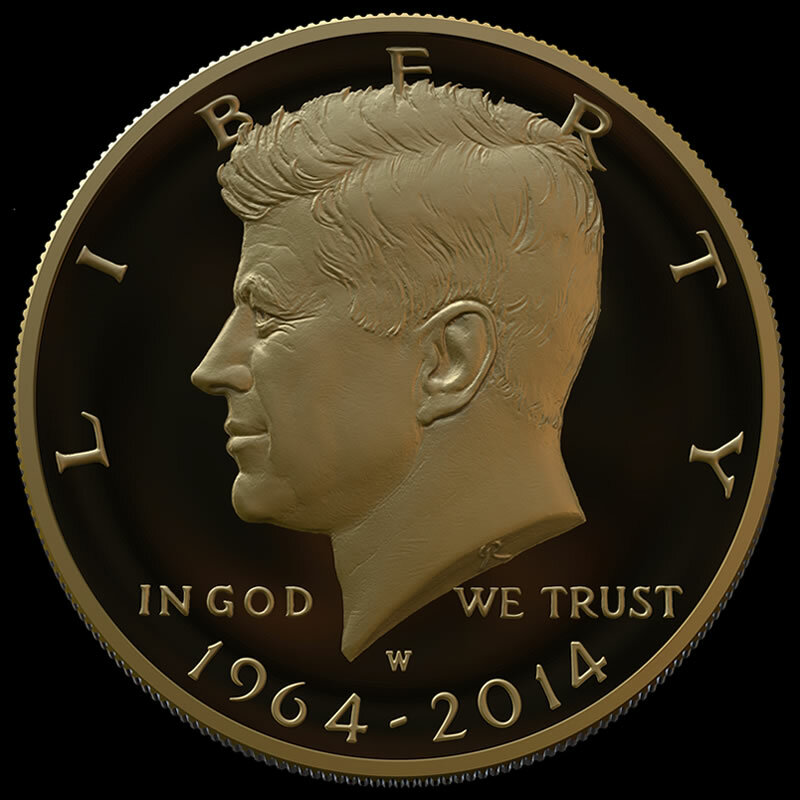 **The mintage total for 2014 Kennedy Half-Dollars is through to the month of January. The amount produced early is usually enough to satisfy collector demand for the entire year. Last August, the Philadelphia Mint was already making hubs and dies to strike this year’s halves. As mentioned, 2014 marks the 50th anniversary of the debut of the Kennedy half-dollar. They first appeared in 1964 just a few months after the assassination of the man they honor, President John F. Kennedy. With that in mind, it is not unreasonable to expect demand for the coins will heighten with the semicentennial. 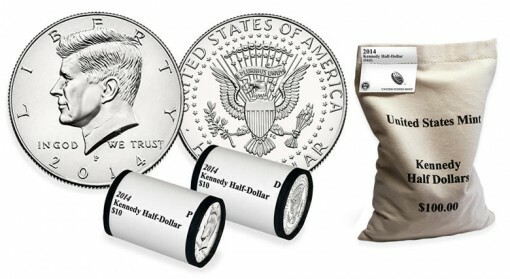 In addition to these rolls and bags and regular annual products that include the coin, expectations are for the U.S. Mint to release 50th anniversary Kennedy half-dollar sets and perhaps a 24-karat gold 50c, priced around $1,200- $1,300, which the Citizens Coinage Advisory Committee reviewed mock-up images of on Tuesday. A Mint survey sent out in late January presented special four-coin anniversary sets that could include halves with varying finishes from all four U.S. Mint production facilities — San Francisco, West Point, Philadelphia and Denver. A clad set could be about $15 and a silver set about $100. 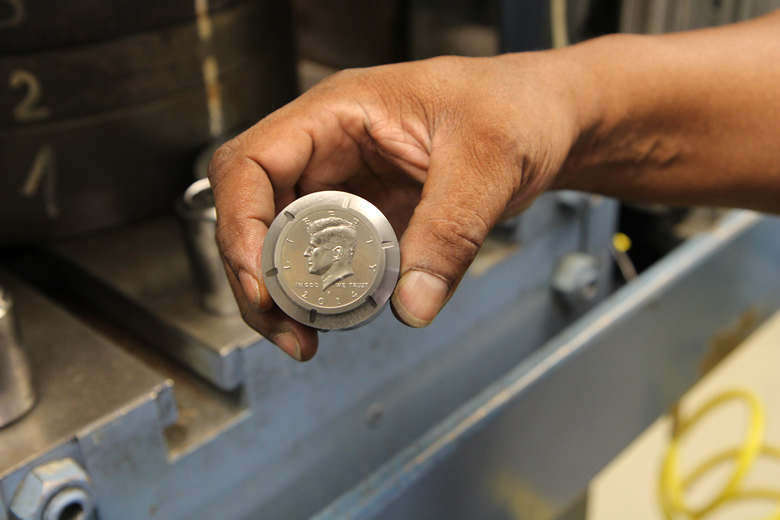 Interestingly, the responsibility that is traditionally assigned to facilities for producing proof and uncirculated coins could be mixed around. 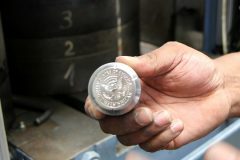 Coins in the Proof Set and Silver Proof Set are struck at the San Francisco Mint and have an "S" mint mark. Kennedy halves in the Silver Proof Sets are composed from 90% silver. 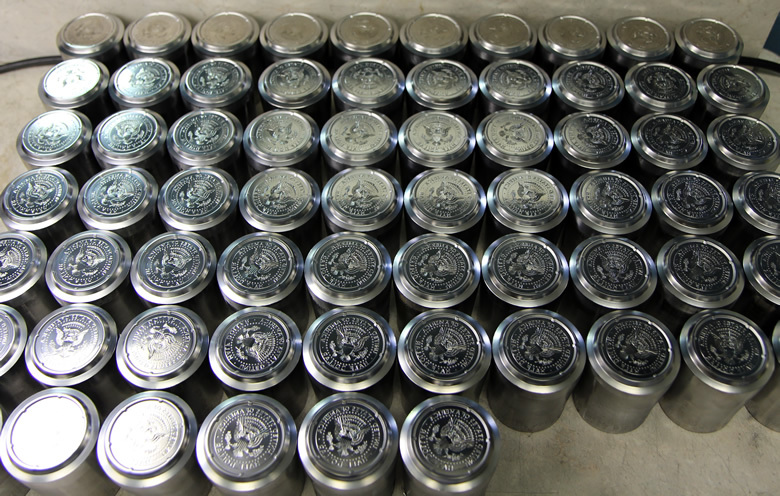 The uncirculated halves in the 2013 Mint Uncirculated Coin Set are produced in Philadelphia and Denver and carry the same mint marks as those found in rolls and bags. Rolls and bags of 2014 P&D Kennedy half-dollars are available through the U.S. Mint website on this product page. Orders are also accepted by calling the Mint’s toll-free number at 1-800-USA-MINT (872-6468). No household ordering limits have been established. 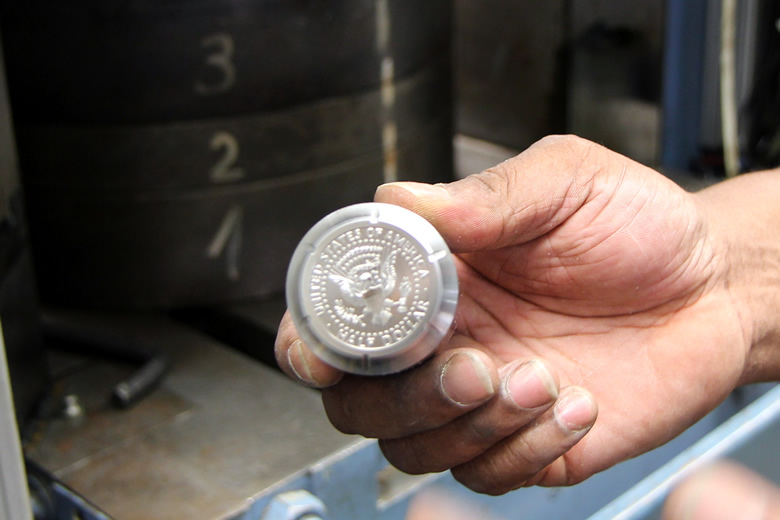 In addition to this year’s coin in rolls and bags, the United States Mint continues to offer 2012 and 2013 Kennedy half-dollars. Bags of them sold out earlier but rolls remain available. The following table offers sales of 2011 through 2013 50-cent pieces as of Sunday, Feb. 9, 20143. So what is the story about thr large order of 13s that was cancelled? How could you or I place a 5 million order without paying for it up front? I am interested in knowing how something like this could happen? Boz, word is the order was from the federal reserve. Umm, looks like there is some kind of 13-14 set coming then. But it would be cool to dump them into the banking system…unfortunately none would make it past the teller level into pockets of the general public. Boz – Most banks have $1,000 bags of Kennedy halves just sitting in vaults now! Since they are not commonly used for change they are not in the change drawers. But If you ask for them most banks still have them just sitting in bags in the vault room and will change them for you. They are glad to get rid of them. Boz – I am referring to circulation strikes from 1971 to 2001 for 50 cent Kennedy Halves. The clad halves were not collected out of circulation and are mostly sitting in bank vaults across the country.